Private and peaceful with tuis and wood pigeons in mature native trees, sea view across the bay. Bush walks nearby including Whakanewha Regional Park and coastal walk to Te Whau Point and vineyard. 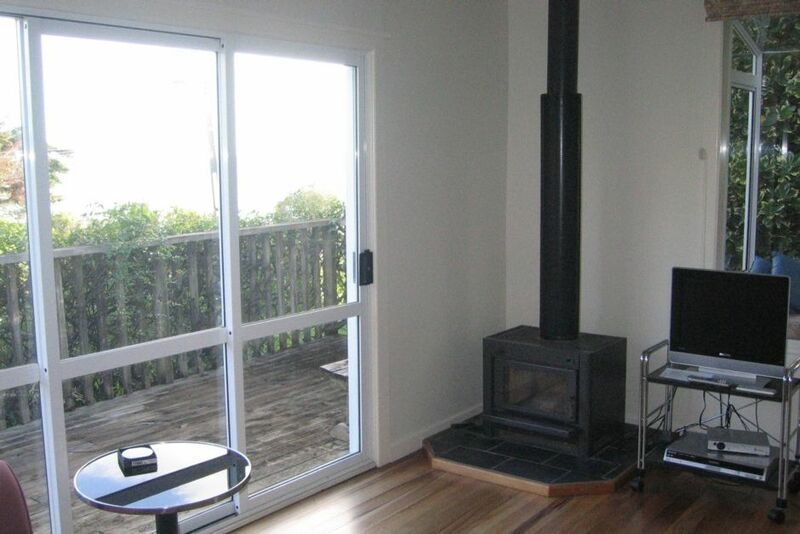 Rocky Bay is conveniently located within a short drive to the many Waiheke attractions and activities. David & Barbara were very nice to deal with. Very accommodating with Ferry times. Cottage was pleasant & all you need for 2 people. Take your car if you can. There is so much of Waiheke to see with Vineyards & beaches. Charming- basic but bright and filled with the sound of the sea just metres away. Perfect for a couple of lazy days in our favourite part of Waiheke. Private and quiet. Clean and ready for us with nice linen and plenty of towels. Owners quickly answered our queries. Simple, but everything we needed for a two night stay. Simple, but everything we needed for a two night stay. Clean, Comfortable with great views. I don't think the photos do the place justice. Perfect location in Rocky Bay with amazing views and very close to the bus stop. Perfect location in Rocky Bay with amazing views and very close to the bus stop. Well appointed cottage with everything you need and great hosts next door. The property was at a beautiful beachside location with amazing view looking out to the water. The property was at a beautiful beachside location with amazing view looking out to the water. The bach was how it looked like in the photos. However it was quite dusty and would need a thorough clean. This was perfect for us and just what we needed for a weekend getaway. This was perfect for us and just what we needed for a weekend getaway. Highly recommended if you're looking for somewhere quiet and peaceful to spend your time away. Close to public transport and it is very reliable. Thank you Dave and Barbara.